Browse: Home / Crafty Adults: A New Monthly Arts and Crafts Program for Grown-Ups! Ever envied all of the arts and crafts programs just for kids at the Library? Envy no more! 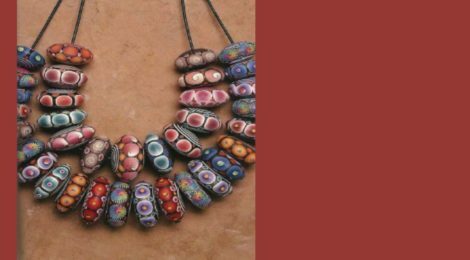 Pelham resident and art instructor Sara Mallach is bringing her talents to the Library to run a monthly program, Crafty Adults, focusing on polymer clay. It’s a great opportunity for grown-ups to cultivate their inner creativity. The next two upcoming sessions are on Thursday, November 29 and Thursday, December 13. Both sessions are from 7 to 8:30 p.m. This program is for those ages 16 and up, and attendance is limited to the first twenty people who show up. Crafty Adults is made possible by a gift in memory of Ted and Karin Mayer. ← Make Sun Prints This July at the Library! I read this article and found it very interesting, thought it might be something for you. The article is called Crafty Adults: A New Monthly Arts and Crafts Program for Grown-Ups!and is located athttps://www.pelhamlibrary.org/blog/crafty-adults-new-monthly-arts-crafts-program-grown-ups/9728.